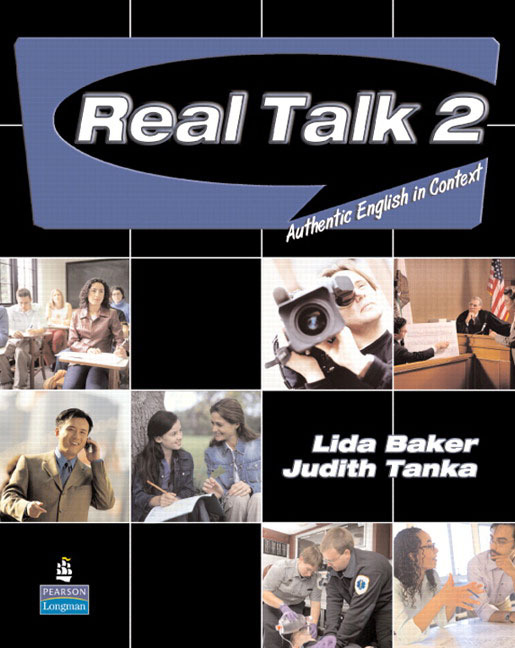 Real Talk 2, by Lida Baker and Judith Tanka, helps teachers transport high-intermediate to advanced students out of the language classroom and into the world of authentic English. Each of the book's eight thematic chapters has four parts: In Person,On the Phone, On the Air, and In Class. With Real Talk 2, teachers can expose students to spontaneous face-to-face conversations, phone conversations and messages, radio broadcasts, and academic lectures. Features * Instruction and practice in language skills for everyday use and for academic situations. * Clear explanations and activities to teach natural use of intonation, stress, reductions, thought groups, and difficult-to-pronounce sounds* Structured and graduated note-taking activities that prepare students for university and college-level lectures* Recorded speakers with a variety of accents, both native and nonnative* End-of-chapter synthesizing activities that help students prepare for TOEFL(R) speaking tasks and academic speaking situations All of these features guide students to communicate confidently and successfully in a wide variety of settings. For intermediate to high-intermediate students, see Real Talk 1.